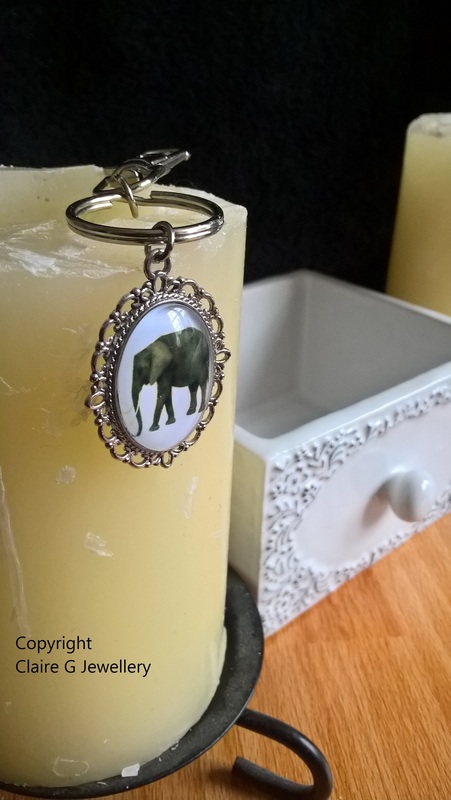 This is a lovely single elephant on white background design in an oval shape on ornate \"vintage\" style cabochon holder, on a silver toned lobster clasp Keyring. 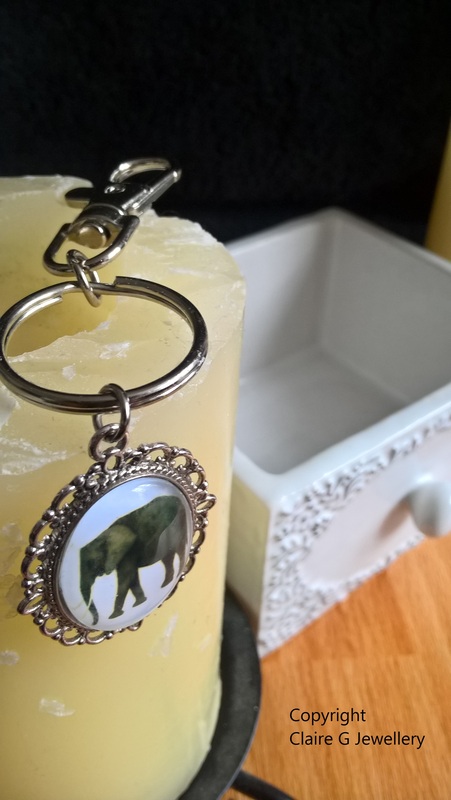 It is a unique item, so not something you'll see in the high street - perfect as a gift for a loved one or to treat yourself. 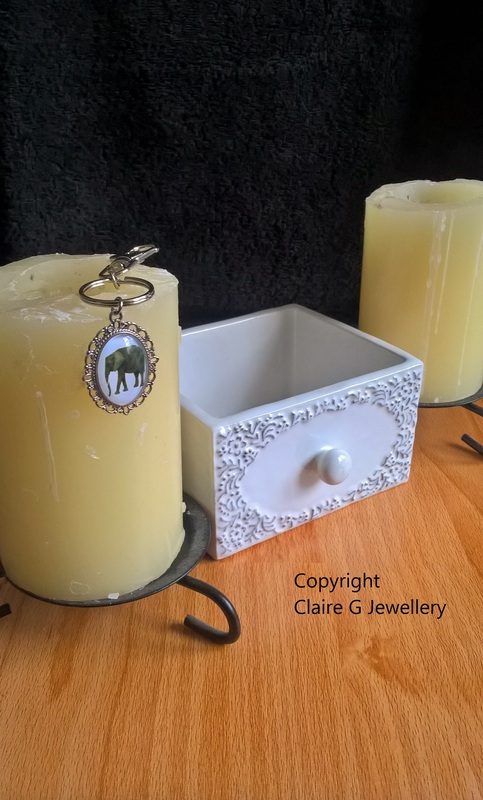 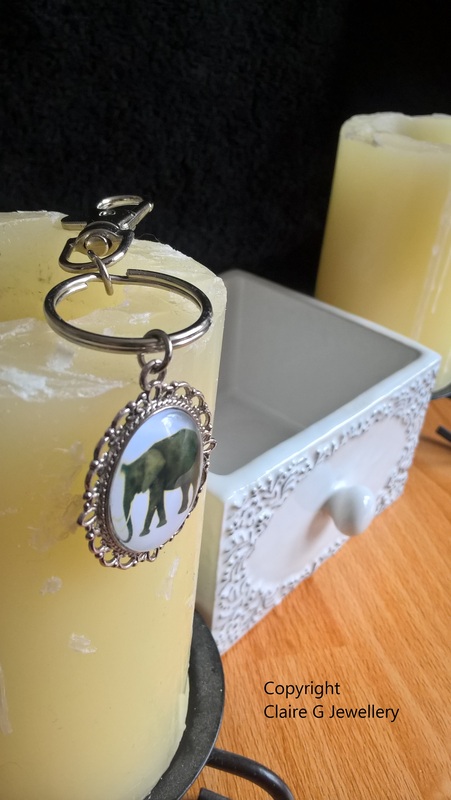 This is a lovely single elephant on white background design in an oval shape on ornate "vintage" style cabochon holder, on a silver toned lobster clasp Keyring. 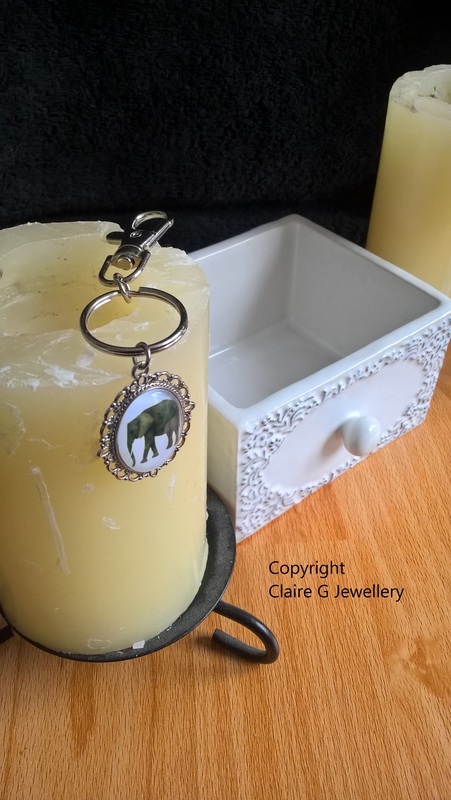 It is a unique item, so not something you'll see in the high street - perfect as a gift for a loved one or to treat yourself.